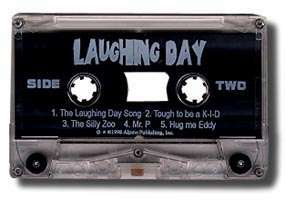 For a limited time all orders of two or more books will receive a free Laughing Day Cassette! 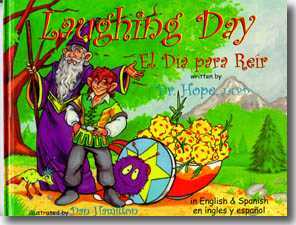 The Original Laughing Day Hardcover Storybook. 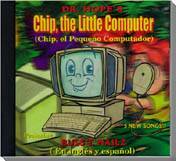 Chip, the Little Computer Hardcover Storybook. Children's Small Laughing Day T-shirt. Children's Medium Laughing Day T-shirt. Children's Large Laughing Day T-shirt. Adult Ex-Large Laughing Day T-shirt. 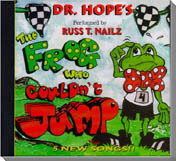 Children's Small Chip, the Little Computer T-shirt. Children's Medium Chip, the Little Computer T-shirt. Children's Large Chip, the Little Computer T-shirt. Adult Ex-Large Chip, the Little Computer T-shirt.